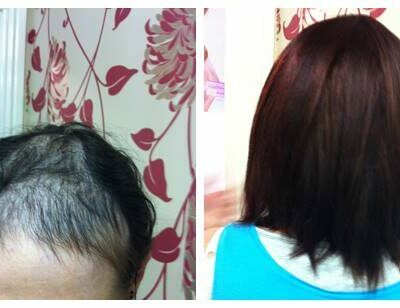 Never never give up on your hair loss. We get your confidence back. Trichology is the science of the hair and scalp. Let us help! We provide a wide range of solutions. 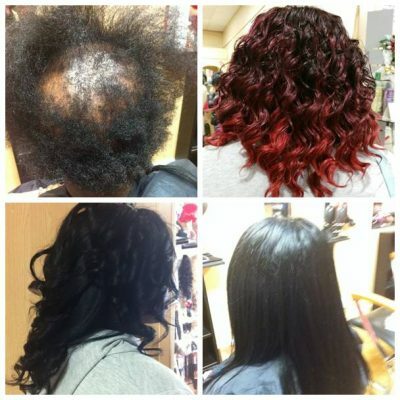 With our help we make beautiful hair and scalp come from within. Solutions for women, men and children. have you the correct hairloss or scalp diagnosis? Excellent results starts with a correct diagnosis. 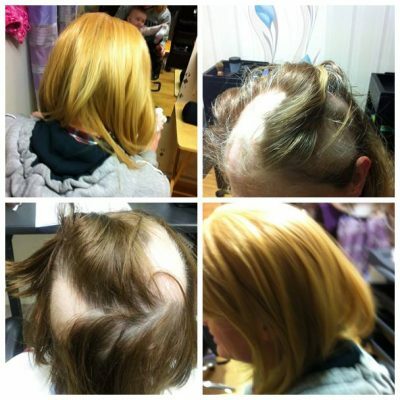 Uniquely, Ribí Trichology Clinic is a specialist hair and scalp clinic providing specialist hair loss services and scalp treatments to men, women and children of all cultures in Castlebar county Mayo the West of Ireland. 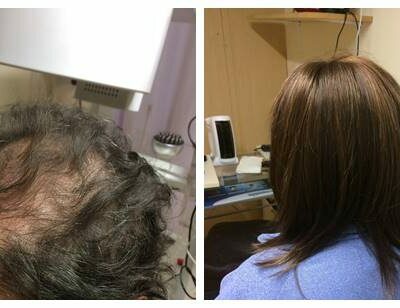 Ribí Trichology clinic is known for being the ‘CLINIC WITH A SOLUTION’, best place for all non surgical hair loss solutions and scalp needs. At Ribí Clinic, our ultimate goal is to offer our patients with the best available treatment options and solutions for the different hair and scalp conditions affecting them. 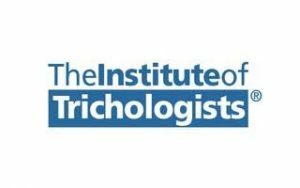 At Ribí Trichology Clinic our professionals include Trichologists, Hair Transplant Surgeons and Nurses that are fully Qualified and registered members with the Institute of Trichologists, British Association of Hair Restoration Surgery and other professional bodies. We are fully equipped with all the necessary equipments needed to allow us to provide the best solution to our patients. We pride ourselves in our state of the art equipment such as our Ribí Laser Hair regrowth Machine which is a two in one hair scalp analyser and a laser hair regrowth machine. This allows us to monitor the progress of growth of our patients during and after a treatment. Consultants have years of both theoretical and practical experience whilst always keeping up to date with their Continuous professional Developments by attending seminars and carrying out research in applicable fields of study in order to offer the best and up to date treatments to our patients. Our Solutions are tailor made for each individual patient, taking into consideration specific needs of each patient. Ribí Low Light Level Laser Growth Therapy, works by increasing blood circulation which improves the regeneration ability of collagen fibers in order to promote metabolism aiding hair growth. 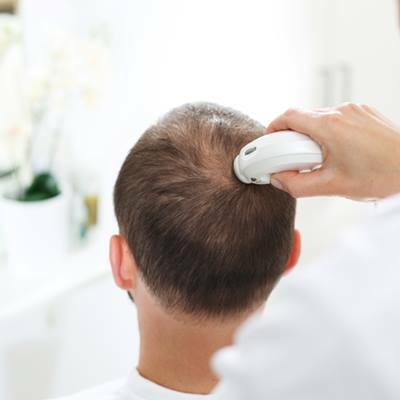 It involves the method of analyzing the degree of hairloss and human hair growth. 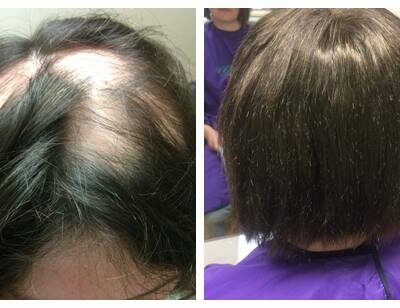 It is also necessary for the determination of the effectiveness of hair growth after patients follow up with treatment. Our hair and scalp therapy is an essential part of our clinical treatment since it aids in treating different hair and scalp conditions. It involves the use of different electrotherapy equipments and massage to stimulate growth, reduce inflammation and improve circulation of the hair and scalp. At Ribí, we offer hair replacement services and systems in the form of customised wigs, medical wigs, hair pieces, top or crown pieces, and toupees for men, women and children. Our qualified wig makers offer the following services when it comes to either a cranial prosthesis, human hair or synthetic wigs: customised wig making, wig repair, wig colouring, wig restyle and wig maintenance. A hair prosthesis (or cranial prosthesis) is a custom-made wig specifically designed for patients who have lost their hair as a result of medical conditions or medical treatments. 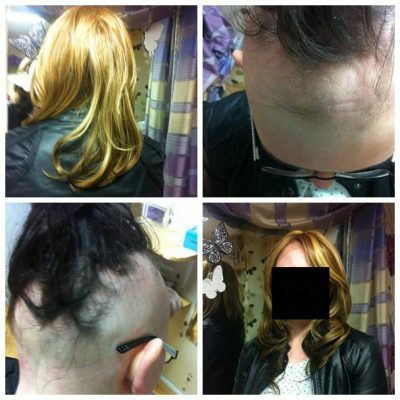 a cranial prosthesis can be used for any patient with conditions such as alopecia areata, alopecia totalis, trichotillomania, post chemotherapy, or any other clinical disease or treatment resulting in hair loss. Ongoing treatment is required to maintain benefits. 2. 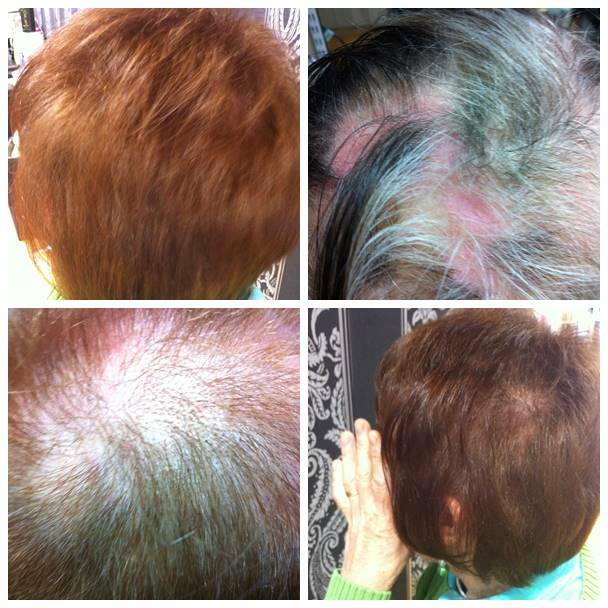 I have been suffering from psoriasis for years, so i came to see the team at Ribí and mine oh mine the trichological treatment i had lifted all the scales from my scalp without any bleeding which usually happens when i try to peel off the scales myself. Got out of bed the next day and hair felt like i have never been to bed , hair felt so smooth. I am very happy with result and see you next week. Absolutely professional, caring, friendly, experienced and empathetic. 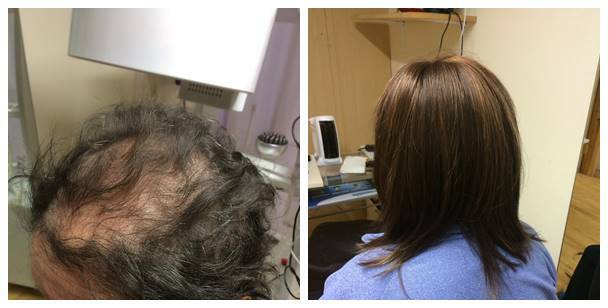 As soon as i stepped my feet into the clinic Mary and her team made me feel so calm and reassuring knowing that they were going to be there with me through this period of hair loss. They did not make me feel they were in it for the money but rather that my satisfaction and happiness were key to them. 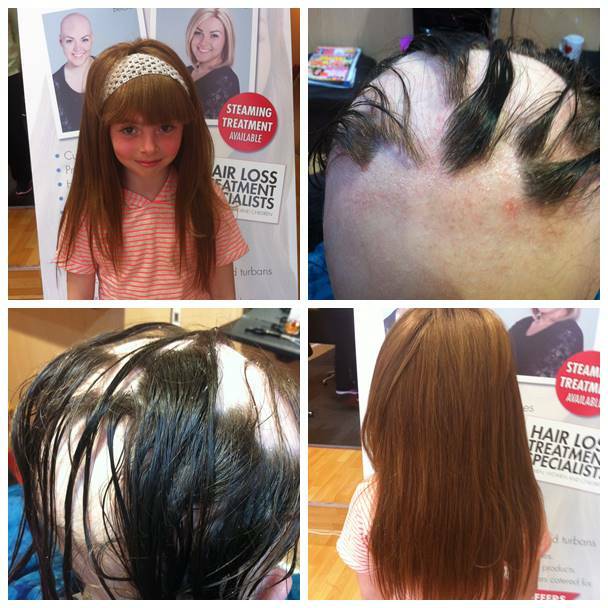 I had a wonderful experience with a new, natural looking hair system at ribí . It was a pleasant atmosphere and the staffs make you feel very comfortable. Always a joy to pop into Ribí Trichology Clinic. Thank you for understanding and spending so much time to ensure I get a wig that looks and feels so natural allowing me to gain my confidence back. Kindly say a big thank you to Mary and the staff at Ribí, Mary is so good at what she does, very professional and respects the privacy of the patient. 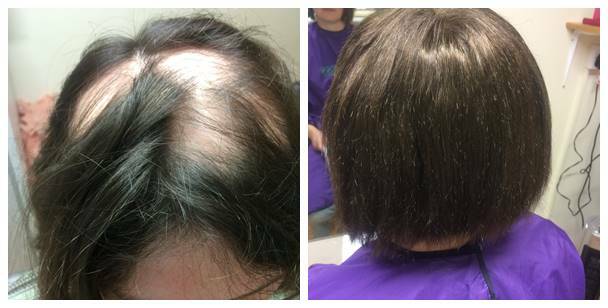 She was so good with the consultation that she was able to get to the bottom of my condition and used all the best available solutions, support and treatment to ensure my hair grows back. I was very sceptical about the laser hair regrowth initially due to a previous bad experience with a hair transplant I had. I had a hair transplant done somewhere and because I did not receive the right advice, support and care my hair did not get any better but grew worse . Mary was able to answer all the questions I asked professionally, she was straight forward and very knowledgeable in her field so I decided to give it a go and I can see a huge difference in my hair. 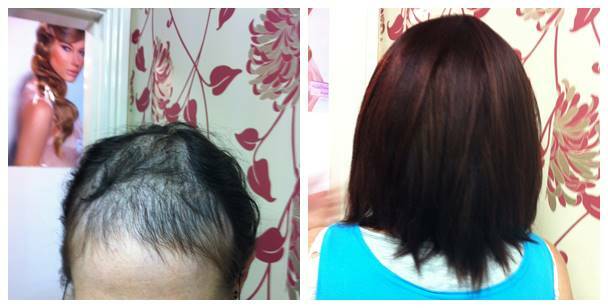 She advised me of the benefits of the laser hair regrowth which included improving transplanted hair. 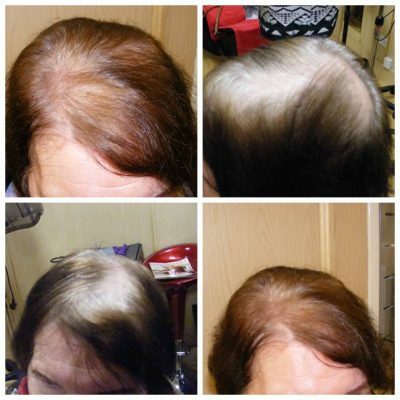 I am so thankful to Mary for being patient with me and I am glad I had the laser sessions because my hair would have deteriorated if I didn’t start the treatment. I am on my third session of laser and I am very pleased with it. I wish I had come in earlier to the clinic to receive treatment. Thank you Ribí Trichology Clinic. 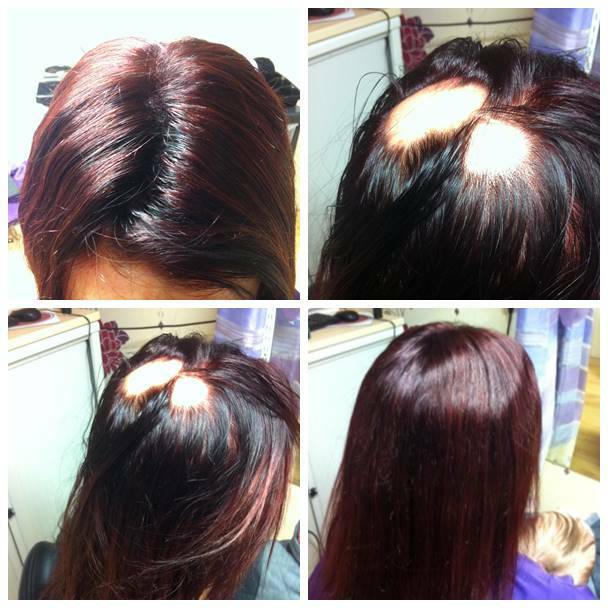 Ribi Trichology Clinic is a ‘CLINIC WITH A SOLUTION’ for all kinds of hair loss and scalp conditions. 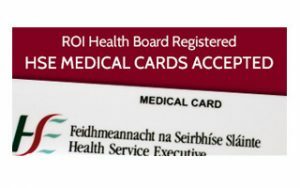 It aims to offer its patients with the best bespoke solution taking into consideration the individual needs and personal circumstances of each patient whilst offering a highly professional service in addition to top branded products at very competitive prices. In order to bring the best to its patients, at Ribí we undertake continuous professional development and research so as to offer our patients with the latest clinical solution(s) all the time.